As a form of budo (martial ways), aikido offers more than just a fighting art. It is the path of personal discovery and character improvement. The path on which you have taken the first steps, is different for each person. However, if you train diligently you will see improvements in many areas of your life. Some of the benefits include physical fitness, improved self-confidence and a greater awareness of yourself and your boundaries as well as those people around you. Aikido was founded by Ueshiba Morihei in the early twentieth century and has now grown to be one of the world's most popular martial arts. The most fundamental concept of aikido is that of "harmonising" with an opponent. In practical terms, an exponent of aikido will use the force of an attack against their aggressor to apply a lock, throw or pin. When pulled the aikidōka (practitioner of aikido) moves forward in the direction of the attack. When pushed, the aikidōka pivots out of the way. In this way, aikido enables one to redirect the force of the attack until it is no longer a threat. In this weakened position, the attacker then becomes vulnerable to various forms of throws or controls (ways of directing an attacker to a final pin). 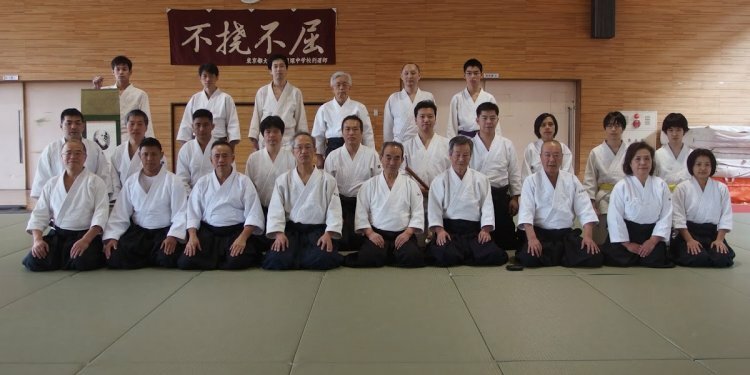 Underlying this theoretical basis is a number of principles and methods, all integral to cultivate a greater understanding of the art of aikido itself.